Locating dedicated and skilled employees can be a difficult endeavor. This can be especially true for smaller businesses whose staff does not have as much hiring experience. Interviewers must learn how to ask the right questions, read candidate mannerisms to see beyond the surface, and uncover the white lies that candidates might utilize to land the job. You need a skilled, dedicated employee. Unfortunately, many job seekers, don’t have the luxury to be as discriminating. They need the paycheck. This makes hiring the right employee a bit of a mine field. (Check out Recruitment – 10 Key Steps To Getting The Right Person, First Time! for some tips to increase the chances of hiring the right candidate). Hiring the right employee is only the first battle. A lucrative company, must be able to not only find good employees, but also hold onto those employees to be financially stable. Every time an employee is fired or quits, there is a turnover cost. How much could a businesses be losing when an employee leaves? The Center of American Progress analyzed 11 research papers published from 1992 to 2007 and found that the average turnover cost is 21% of an employee’s annual salary. For companies who employ lower salary employees (30K a year of less), the turnover cost is slightly lower at 16% of their salary. Employees closer to 50K to 75K a year cost a company around 20% of their average salary. Turnover cost means that for smaller companies the inability to hold onto their employees can continually syphon funds that could be utilized to grow the company. (And that doesn’t even take into account, not having the experienced staff required to perform their jobs in a manner that will keep your current clientele happy.) Keeping experienced, efficient employees for as long as possible is imperative to long-term success. A variety of factors can lead to employees leaving: pay, dissatisfaction, relocation, insufficient work-life balance. It’s important as employees leave, you conduct exit interviews to discover what aspects of the workplace culture and employment practices are causing employees to quit. If your company can, try to fix some of the factors that are leading your current employees to jump ship. Although, if it’s a salary or benefits problem, you might not be able to fix that immediately, but you can offer other perks. Even though, start-ups and smaller businesses just can’t offer all of the cool perks that bigger corporations can, some of the employees will appreciate the alternate perks and be willing to stick with you until you can afford to offer more monetary benefits. I work at a small company who used to give raises based on time worked rather than the quality of the work. (I even remember hearing that raises weren’t based on merit a few times). The low performers who got paid to play on Twitter all day loved it. The individuals who actually spent all day working talked among themselves about how unjust the set-up was. The result? The high performers left in droves and the low performers lingered. (After all you can’t get much better than being paid to play on Twitter all day). That policy has changed in the last year and employee morale is higher. The company still has some turnover, but there is less dissatisfaction over the pay structure by the employees who excel at their job. Most companies aren’t as open about the fact that they have raise practices that don’t always grant raises to the employees that perform. As management, don’t assume that if you give a low performer a higher than normal raise that the information won’t get around. Employees talk about how much they make and how big of a raise they’ve been given (even if they’ve been made to sign an employment contract that says they won’t). And when it’s revealed that an employee earns more than other employees if their performance or tenure doesn’t merit it, problems can arise. Last year, one of my co-workers (we’ll call him Cory) had his review. After the review, one of the lower performing employees (we’ll call him Larry) asked how much his raise was. During the exchange, Larry revealed he got a higher raise than Cory. Cory was flabbergasted and upset. The talk with the manager didn’t really alleviate the dissatisfaction. That dissatisfaction could very easily lead to a good employee leaving the company. The solution to that problem of raises not based on merit, is not a simple one. The pay structure might need to be reworked. On top of that, managers need to be very conscientious of why they’re giving a raise. Giving a raise because an employee has a family and needs the money, and could alienate the employees that will grow your company. Likewise, how a manager feels about an employee could also lead to a slightly higher or lower than normal raise. Unfortunately, managers are only human, so they might unconsciously give more or less based on personal feelings. Finding and keeping good employees can be a difficult endeavor. 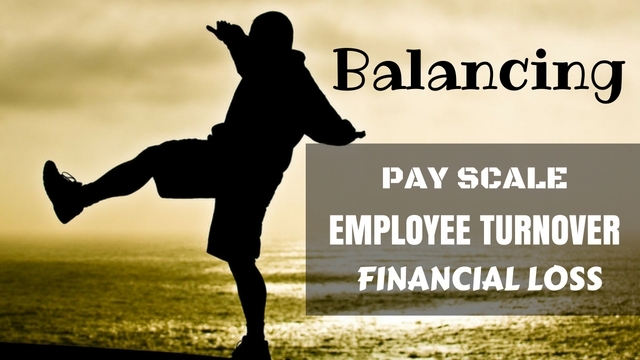 Too much employee turnover can continually bleed the company of money. A fair pay structure within the company can significantly decrease the number of high performing employees leaving the company. In order to maintain a fair pay structure, managers need to ensure they are given raises and setting wages with their head and not their heart. Giving a slightly hire raise than deserved based on performance might be nice, but it could lead to the eventual loss of your higher performing employees.